Plastic injection molding is high efficiency production method, it takes very short time to supply custom plastic parts to the market, the injection molded parts come out of the mold by every few seconds, usually the injection molding operation runs all night and day once the mold is set up. Automatic production of injection molding is possible, which means the operation is cost effective to manufacture custom plastic parts, in a full automatic injection molding factory, you only see a few workers there to ensure the machine runs smoothly. The benefit of co-injection molding is you can produce plastic part with more than one plastic material at the same time. Thanks to the development of chemical industry, more and more types of plastic materials can be used, and the performance and characteristics are more diverse, some of the materials with high strength can take place of steel in application, such as POM, some of the materials are soft, like PP, TPE. 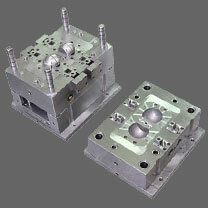 All of them can be benefited by injection molding to produce custom plastic parts. 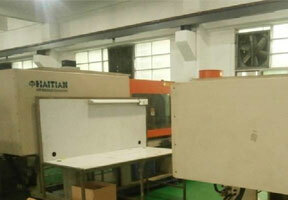 Utilizing hot runner, plastic injection molding production can maintain very low scrap losses. Basically, in a stable production situation, the scrap loss is zero. In Mold Decoration technology allows the decoration to be molded together with the plastic parts, it means you don't need to do secondary process after molding.